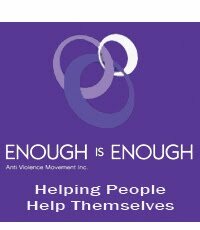 Enough is Enough participated at the "Other Ways: Growing Alternatives to Violence" Program at Strathfield on 24 Sept. to celebrate Australian achievements over the past 10 years . The participants shared their experiences of active peacemaking together and affirmed the learnings of Decade to Overcome Violence (2001-2010) in Australia. • to promote peace education at all levels of Australian society. The keynote speakers at the ‘Other Ways’ gathering were Claudette Werleigh, secretary general Pax Christi International, and past Prime Minister of Haiti; Sister Susan Connelly, Mary MacKillop East Timor Mission from Sydney, and Azim Khamisa, founder and teacher of “Achieving Peace through Forgiveness” from the USA.